I walked in to Aldi’s in Pembroke Pines and was in Gluten Free heaven. There was pasta, cake mixes, pizza, and chicken nuggets….there was cookies, chips, granola bars, and hot pockets. It was pre-made gluten-free ecstasy. 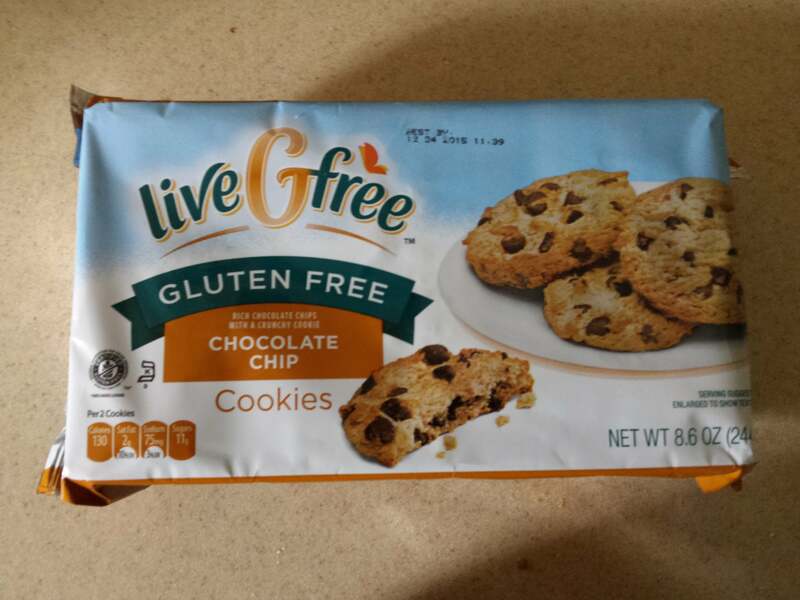 I couldn’t leave without picking up something to try, so I settled on a package of Live G-Free Chocolate Chip Cookies. We are chocolate chip cookie lovers at our house and have probably sampled just about every variety of Gluten Free chocolate chip cookies we have found. Generally Gluten Free cookies run about 5.00 a package or more and these were only 2.99, so even if they weren’t great, I figured I was not out a lot of cash. I have to say I was pleasantly surprised. While a bit crumbly (which isn’t unusual for a gluten-free cookie) they had a great flavor. Often gluten-free baked items have a grainy texture, these cookies did not. The chocolate chips were plentiful. 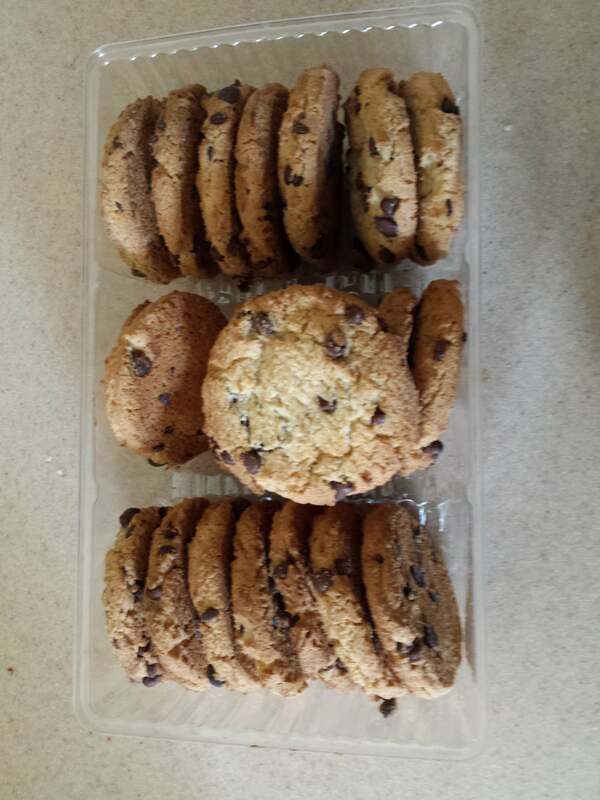 My husband, the chocolate chip cookie connoisseur, gave these a thumbs up. If you are looking for a chewy cookie, these are not them. If you are looking for something with a traditional Chips Ahoy texture, it is pretty close. Just as a side tip, they are also very good frozen or crumbled over ice cream! Thank you for the suggestion. I will look for them.